Most people need a desk or craft table of some sort in their home, but don’t necessarily have the room for something that is only used a couple of times a week. I’m not sure that I’m digging this idea for a desk (no way I’m putting my computer and office supplies away to fold it up! ), but it would be perfect as an extra craft table, especially for the kids’ school or lego projects. Check out the details and instructions over at Shanty 2 Chic. This is the question in most kitchens– where to put the spices?! Ideally you want them near the stove where you’ll be using them, but that is not always an option. 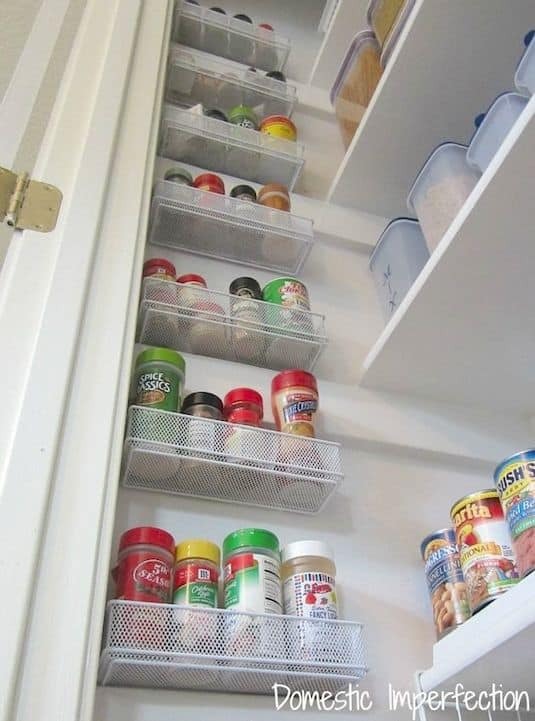 Ashley from Domestic Imperfection, came up with this brilliant idea using the empty wall space in the pantry! Check out the entire pantry reveal here. Hard to believe, but she used mesh drawer organizers for this clever project. Just like with homes and buildings (where there isn’t a big footprint), consider building up! 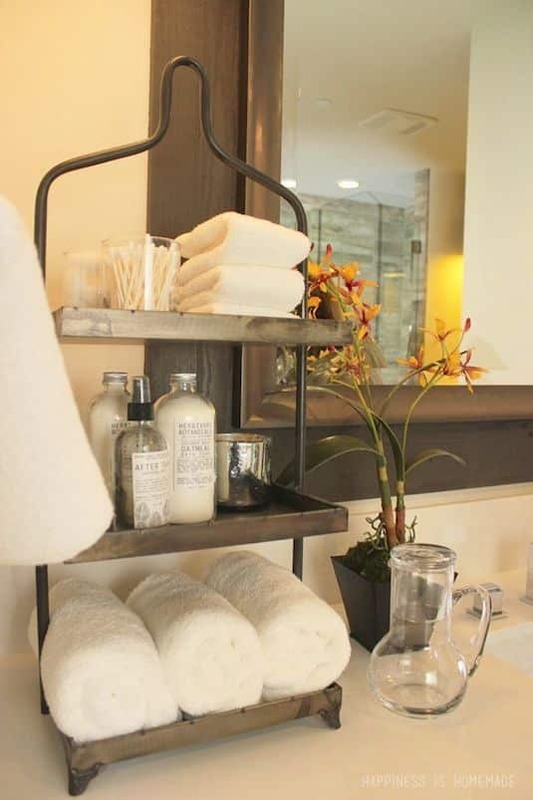 For small bathroom or kitchen counters, consider a tiered tray to hold all of the essentials without taking up as much room on the counter. I found this tray for sale here on Amazon. About $110, though! Yowzers. But I did find a very similar one for my bathroom here for much less. I also have this one in my kitchen, and I love it! I use it for small plates, dipping bowls, fruit, veggies, nuts, and other healthy food choices that I want to be easily seen and accessible.